Micah Davis, Amhas, will return to compete in his second showing in the Atlantic Cup in 2017! Amhas will be a top team to watch in 2018, the boat itself is proven to be very fast and Micah will be especially motivated for a podium finish this edition. The name Amhas, comes from an old Galeic word for Gannet, the sea bird that can be found around the North Atlantic. 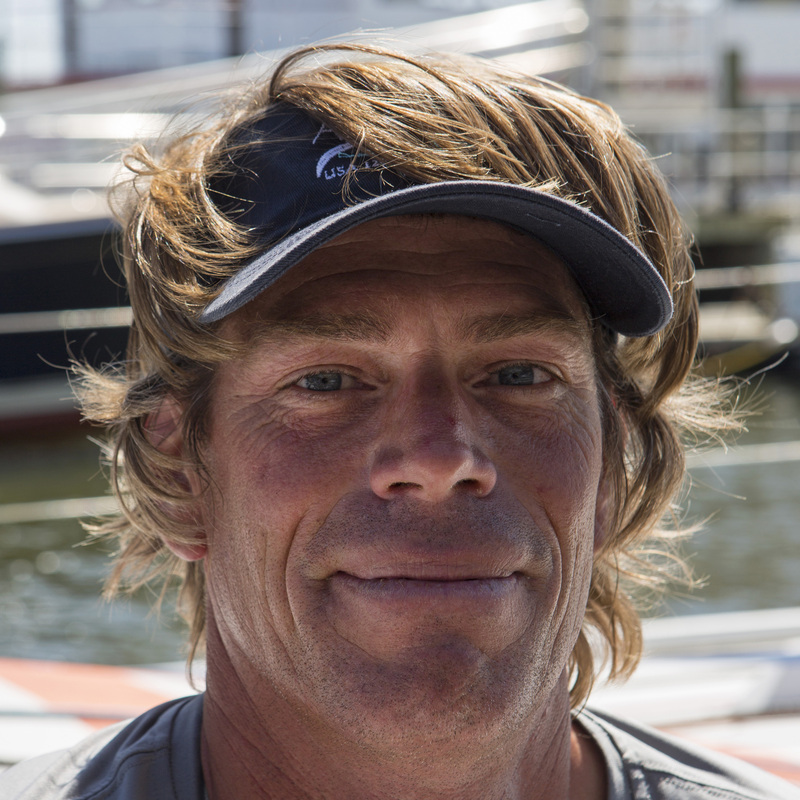 Micah has once again selected Atlantic Cup veteran Rob Windsor as his co-skipper. What Rob doesn’t know about Class40s isn’t worth knowing! Ensuring that its resources remain available for future generations. The oceans are the world’s largest carbon sink, and generate the majority of the planet’s oxygen. That sounds like a system we should be taking care of every day, not using it as a dumping ground. “Amhas” is an old gaelic word that has a few meanings…the one we named the boat after is “gannet”, but it also means “a wild beast” and “village idiot”. That will be Rob and me…the kids can figure out who is who. My dad was a very competitive sailor when he was young, so I grew up reading books about ocean racing. When I got older, I was fortunate enough to sail with Andy Nixon and Greg Carroll on their boats. It’s a really important lesson that I think about all the time. Anyone fortunate enough to both own an boat and have the time to race has an obligation to return the favor – somebody, somewhere gave you a shot. To win a transatlantic race – we’re 0 for 2 on finishing, which I appreciate comes first, but being on the podium would be a real highlight. Right now it’s the Atlantic Cup. Probably on the docks at the Maine Yacht Center. Rob helped Brian Harris and me put together our new boat, and since then we’ve done a lot of miles together, including the 2016 AC. Rob knows how to make a boat go fast, and he honestly believes he can outwork the competition to get a win. I love the grind and I’m happy striking a balance between pushing hard and taking care of the boat. The adventure and the self-reliance – the sense that you are alone and maybe the first person to sail across that specific stretch of water. I like the thrashing (once it’s done). I hate being cold but fortunately it doesn’t happen too often. I think that we share a lot of the same philosophies about balancing the need to press with the need to finish. No one works harder than Rob on a boat, but sometimes we also need to slow down and think things through. Rob is really good in those discussions, and it’s easy to move forward once we make a plan. The whole race will be challenging, but the toughest part for me is likely the inshore series. We’ll see – that’s why we race. I don’t think that there is a clear favorite. I hope that there is breeze north of Cape Cod, but I’m thrilled to be coming home. Yes – make sure you tell all the other teams that, too. It’s critical, and it’s one of the best aspects of the AC – that you are likely sailing in a variety of conditions and need to think holistically about the race. What is the most played song on your I-pod? Monkey Wrench. My kids love it, which occasionally makes me a little nervous. Usually anything warm. There’s no point bringing something you don’t like. All-time favorite is Lasagna with Meat Sauce, although I do make a killer Breakfast Skillet wrap. It means a lot to me, I was born on world oceans day. Looking after the planet means a lot, I make my living off the ocean and I would like to continue to be able to ensure the ocean is a wonderful, beautiful place. We should all do our part. Use reusable water bottles, that’s mostly what I see in the water when I travel around the world. If we all did that we wouldn’t be adding to the already immense amount of debris in the ocean. The reason the kids should vote for my team, I love the kids part of the Atlantic Cup. This will be my sixth Atlantic cup and one of my favorite parts of the land portion of the event is the Kids portion. I can’t wait to be in all the cities to show all the new fans Amhas. I am only going to let Kids who voted for my team on my boat. Competed in every Atlantic Cup since its inception. 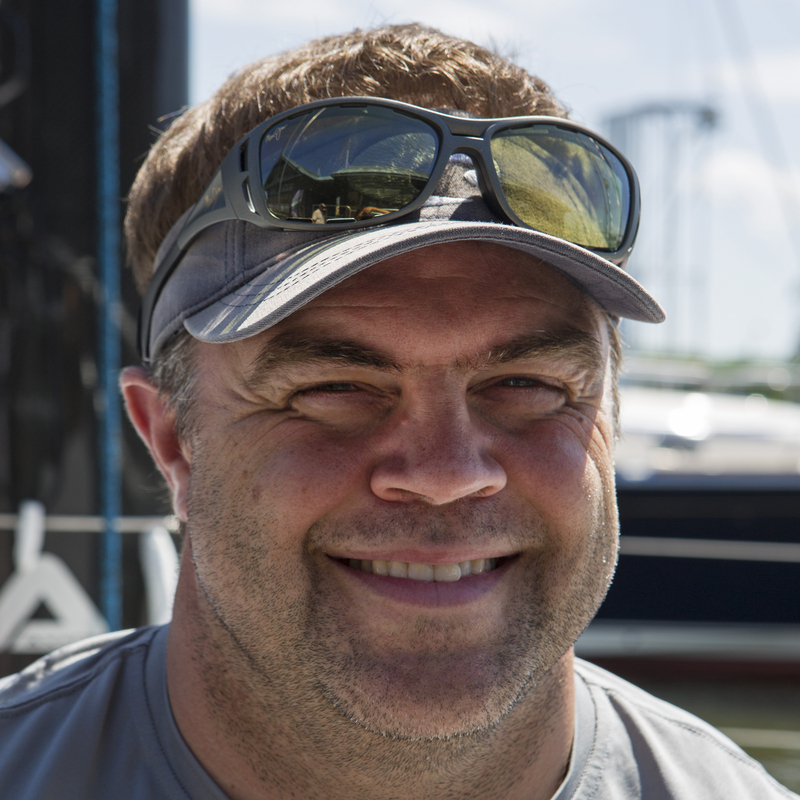 Raced with three different teams and prepared many of the American Class40 fleet. Through Brian Harris about 7-8 years ago after a Pineapple Cup, since then we’ve competed in the Atlantic Cup, Pineapple Cup and numerous other races together. He’s a monster, he played football at Brown, he’s very athletic and a good sailor. That helps. I’ve been sailing a long time on Class40s, I put most of them together. I know these boats inside and out! Being offshore is my favorite place to be. I like being offshore way better than being on land. The farther away from land, the happier I am. Does not scare me. I enjoy being on deck by myself. It’s awesome being responsible for someone else, when you’re double handed sailing being on deck, making sure the boat is going fast and also keeping that person safe. I think the fact that we’re in good shape, about the same age and I think he’s a very analytic numbers guy and I’m more of a feel guy so that makes us a good team and we share a common goal of winning everything is the only thing. I like my chances, this will be my 6th one so experience plays and the boat I’m on now, I’ve tied every string and turned every screw so I feel good about how it’s put together and it’s fast. We have a good chance to be on the podium. I think depending on which European boats are in they have a good shot. But racing across the ocean and racing up the coast is not the same. Racing around Hatteras and in the Gulf Stream make it a US team favored race. Having sailed around Cape Cod and Nantucket in the early spring sometimes there isn’t a lot of wind. Hopefully there will be breeze, but that side of the cape can be difficult. Is it true that if you sleep too much on the offshore legs you’ll lose? You’ve got to look after your inventory, but I’m a big fan of putting the big stuff up and leaving it up. You can’t be an idiot, but if you don’t put up the biggest sails and push 100% you won’t win. You’ve got sail smart, but push. What is your favorite thing to eat when you’re offshore?